13.629 seconds just ahead of the 13.656 lap of Jon Guy and Jesse Dutilly’s lap of 13.685. Neri drew a six for the inversion placing Becca Monopoli on the pole for the 100-lap chase flanked by local shoe Ron Lofquist. The start would not be a good one, though. Going into turn one, Dutilly had to check up a bit and was hit by third starter Steven King sending Dutilly’s machine hard into the turn one wall. Dutilly was none the worse for wear himself but his car was badly damaged and he actually walked the full length of the track from turn one to turn four where King was parked under the red flag. Dutilly had some “choice words” for King then walked back to the pit area. When the race finally got started, Monopoli zipped out front only to see the caution fly on lap three for a Paul White spin off turn four. King got the jump on Monopoli after the restart, took the top spot and began to pull away from the field. Lofquist began to fall back losing third to Guy on lap six and fourth a lap later to George Gorham, Jr. Neri was moving forward after a slow start taking fourth from Gorham on the 18th lap while Guy breezed by Monopoli for second on lap 22. By now King was racing in a different zip code and looked to have the field covered. King’s big lead was erased on lap 45 when the caution came out although there was no incident or debris on the track. During the driver’s meeting the competitors had been told that if 40 green flag laps were run consecutively that a “competition caution” would be thrown. This would prove to be King’s eventual undoing after his early dominant performance. Guy blasted to the front on the restart while Neri got by Monopoli for third. The lead trio then began to put on a great nose-to-tail show for the fans with no one willing to give an inch while Matt McCrary charged by Monopoli (who was out of brakes) for fourth on lap 74 just before the two leaders, Guy and King, got together coming off turn two with both being sent to the rear for the restart. Neri was now the leader and he clearly had the fastest car on the speedway as he pulled away from now second place McCrary. The final yellow flag flew on lap 88 as White went into a spin courtesy of King while Guy also spun to keep from being involved. King dropped out at this point. 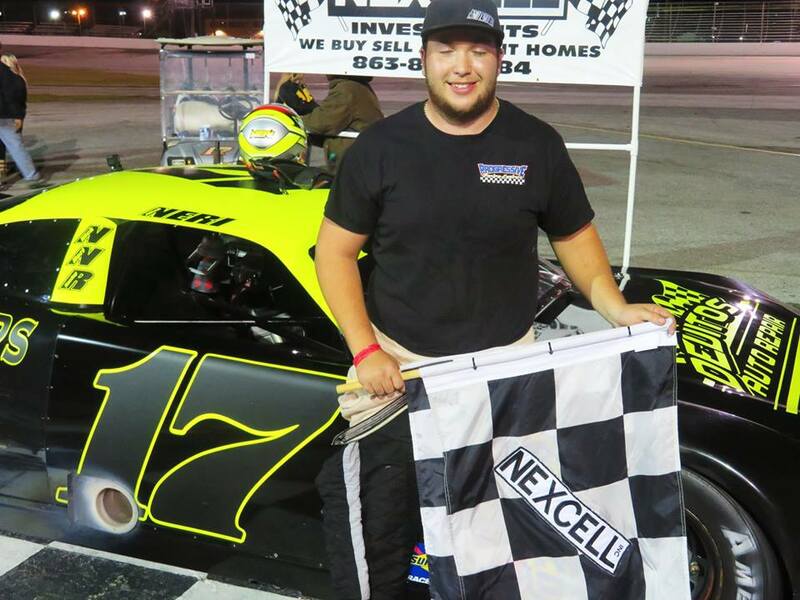 Neri easily led the final 12 circuits to score his first career Auburndale Speedway victory while McCrary’s steady driving netted him a nice runner-up finish. Despite running most of the race with no brakes, Monopoli took third spot followed by Guy and White. Lofquist was sixth and Charles Kopach seventh, the last two cars still running as all seven finishers were on the lead lap at the end. King was credited with eighth ahead of Gorham, David King and Dutilly. Chris Spring began defense of his 2018 Modified Mini Stock title by winning a hard fought 25 lap feature. Spring won the first heat but it was second heat winner Mike Rudder who took the early lead before he and Spring bounced off each other and spun out on lap 16. Spring continued but Rudder was done for the night. Bryton Prevatt took over the lead and the race would then become a great battle between Prevatt, Mike Kerrivan and Spring who made a late charge to put his “Black Duece” in victory lane. Kerrivan was a close second over Prevatt, Kenny Nurse, Jr. and Clint Holmes. Jimmy McLeod took sixth with Jimmy Wood seventh and the last car still running. Rachelle Rudolph was eighth, victim of two blow right rear tires. Rudder was credited with ninth and Kelly Hahn was tenth after dropping out early. Mike Prevatt and Donnie Ezell did not start. 2018 V-8 Bomber champion James Wright III won the heat race which earned him pole position for the 25 lap feature. That was pretty much all she wrote as Wright led all the way to take the win and start defense of his title. “We are going to try and take another championship although I will probably miss a couple of nights this year,” said Wright in victory lane. “I was in Alabama working all week and my dad worked on this car all week and it was really running great in the cold weather,” he said. Jody Gill debuted his new “K-9” Camaro with a fine second place finish. Gill, who is a local K-9 police officer, had been credited earlier in the week as he and his dog captured a man suspected in a string of local bank robberies. Healey. Ronnie Abney, Jr, was sixth followed by Brandon Love, Jimmy McLeod, Kyle Case, Jesse Killinger and Travis Todd who was the only driver unable to finish. 22 and raced to a popular victory. “That was an awesome race,” said Cornman in victory lane and his comments were echoed by second place Jarrett Wagman who also led many laps before having to settle for the runner-up spot. Defending track champion Jim Smith claimed third spot while Brandon Taylor took fourth ahead of Ryan DiVagno and Brandon Hershey. Seth Adams was running third as the white flag came out but his car developed problems and he ended up seventh. Kyle Pitts took over Bob Wilson’s car for the night but he dropped out early and was credited with eighth. Wagman won the heat race. Maria Martins took the lead on lap ten and went on to win the 20-lap Mini Cup feature race. The young lady driver also won on opening night last year then was shut out the rest of the season, mostly due to a series of mechanical failures. “I don’t want a repeat of last year,” she said after taking the victory. “We want to win more races this year and hopefully the championship too,” she said. Veteran Russell Bush came home second followed by 2018 Mini Cup champion Douglas Herrin, Jr. who came back from a big heat race wall-banger to get a podium finish. Heat winner Bryton Horner was fourth followed by Clay Samuels and Wilson Martins, Jr.
Driving a “throw-back” Dale Earnhardt black #3 Mini Stock similar to the one his dad drove in the class a few years back, Chris Narramore, Jr. won the Q Mini Stock heat then easily captured the feature race that was combined with the Scrambler class. Freddie Martin kept things close but had to settle for second over David McCaig, Oscar Coulter, Colin Hardin, William Kerns and Guy Kolmel. The Daytona Antique Auto Racing Association was also in the house and the DAARA Sprint Cars put on their usual great show with Robert Campbell of Tarpon Springs leading most of the way to score the victory in his beautiful midnight blue creation. “My uncle Steve Campbell restored this car from the ground up and boy is it a pleasure to drive,” said Campbell. “My dad (long-time Sprint Car owner Harry Campbell) never let us kids drive his cars since he had some really good drivers in the seat (the likes of Dave Scarborough, Frank Riddle and Jan Opperman), so it’s really cool to get to be behind the wheel of one of these things now,” he continued. Duane LeCornu made his Sprint Car debut in a “new” restored car and drove to an impressive second over veteran Sprint Car shoe Stan Butler. “Guess we are gonna have to get some new tires to keep up with these guys,” joked Butler after the race. 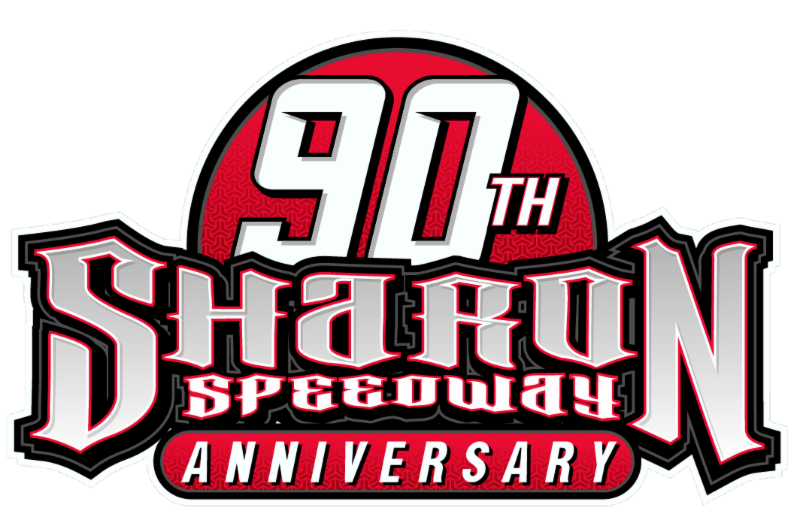 Merle Strickland took fourth with Chris Hahn, Bob Wolpert, Louis Brashear and John Parrish rounding out the finishers. The DAARA Stock Car feature fell to Cush Revette, Jr. of Tampa who was driving his Bobby Allison tribute car 1955 Chevy #312. Heat winner Steve Slaughter brought his coach-bodied Modified home a close second. Steve Parrish took third in a six-cylinder-powered Modified ahead of Darren Nichols, Richie Iversen, David Glenn, Ken Jeffres and Dan Hayes.